Our Chrysler Dodge Jeep Ram car dealership is full of all of the newest vehicles. The opportunity to help people in the North Augusta area to get the car they want and deserve is what we’re here for. If you’re living in the North Augusta area and have been wanting to upgrade your vehicle, then please consider stopping by our website for a complete selection of new and used Chrysler Dodge Jeep Ram autos. No matter what your needs are, we’re sure we can find a Chrysler Dodge Jeep Ram vehicle that can handle them. Looking for a used vehicle in South Carolina? 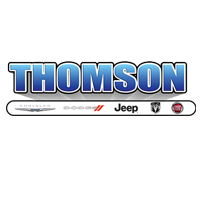 Thomson Dodge Chrysler Jeep Ram is the only stop you need to make. Shopping for a pre-owned car that fits your needs and budget is easy thanks to our wide variety of pre-owned vehicles. People deserve to be able to afford a vehicle that fits their needs, and Thomson Dodge Chrysler Jeep Ram is here to help. You can apply for your car loan over the internet with our secure finance application form. So please contact us. We’re eager to help! With years of training, our talented mechanics have what it takes to diagnose any problem on your Chrysler Dodge Jeep Ram vehicle. Even tough-to-find parts aren’t a problem for our trained staff. If you’d like to arrange an appointment to bring your vehicle in you can do so by creating a vehicle service appointment here on our site. North Augusta is a historic city in Aiken County, South Carolina, situated on the north bank of the Savannah River. North Augusta was originally founded as a residential and resort town, and much of its development can be traced to the establishment of the legendary Hampton Terrace Hotel, built in 1902 by James U. Jackson. The Hampton Terrace Hotel was built on a hill overlooking the city of Augusta, however, the hotel unfortunately burned down in a fire in 1916. North Augusta is thought to have been the originally intended home of Hollywood and America’s film industry, and is home to an array of historic places, including Lookaway Hall and Rosemary Hall.